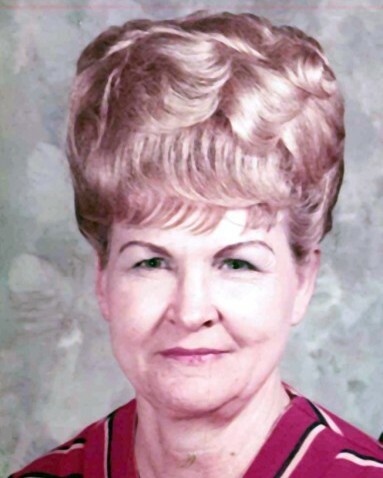 Zora Lahoma Savage, 98, of Alma, Oklahoma passed away Friday, Sept. 7, 2018 at Wilkins Nursing Center in Duncan, Oklahoma. Zora Lahoma Shawn was born on May 19, 1920 near Alma, Oklahoma to Carl Shawn and Georgia (Traywick) Shawn. She attended Collie School near Velma, Oklahoma. She married the love of her life Joe Savage on July 19, 1936 in Alma. Zora was a caring, loving and hardworking homemaker, raising her family in the Velma-Alma area. She enjoyed gardening and canning. She loved to sew and was a skilled seamstress, making many of her children’s clothes. She was a long time member of the Velma Church of Christ. After her children were grown, she worked as a waitress and then owned a restaurant in Velma, before retiring. Zora was preceded in death by her husband, Joe Savage; her son, Ronald Savage; four sisters; her sons in law; Calvin Roberts, Charles Allen, James Ratliff and her parents, Carl and Georgia Savage. Zora is survived by her daughters, Donnie Moore and her husband Jerry of Duncan, Karron Allen of Springer, Oklahoma, Linda Rigsby of Madill, Oklahoma and Phyllis Ratliff of Pruitt City, Oklahoma; her sons, Darrell Savage and his wife Pat of Oklahoma City, Oklahoma and Phillip Savage and his wife Rita of Inverness, Florida; nine grandchildren, numerous great grandchildren; and many other family members.